Managing contact center performance effectively begins with data. Combining the right data with the right analytics tools ensures everyone has the information they need. Agents, supervisors and administrators can all see and understand how they and their teams are operating and performing. 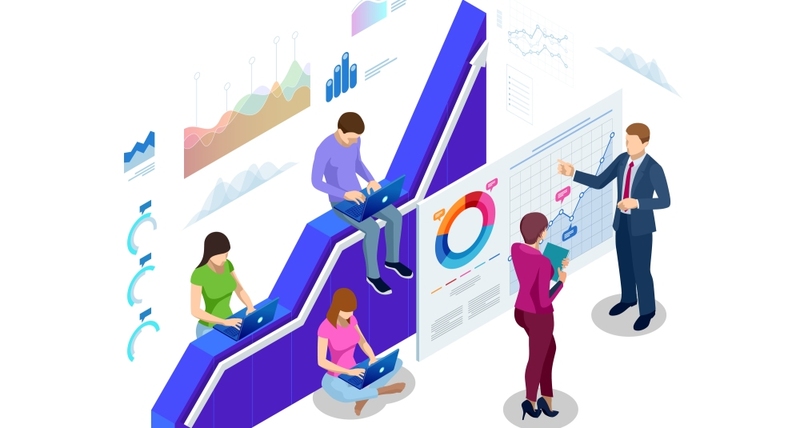 As businesses move deeper into data-driven digital models, many solution vendors have tried to retrofit their products with analytics and reporting capabilities, treating it as an afterthought. While that may help add these capabilities more quickly, they aren’t as tightly integrated into holistic solutions, making them less and less effective as they are challenged with more complex decision-making processes. Genesys (News - Alert) spent considerable effort creating tightly integrated analytics into its PureCloud contact center platform. Instead of needing to use a separate reporting system, tools and data are available to supervisors, managers, and executives within PureCloud. Having the information within a single application gives a complete view of how their organizations are functioning and how they are using PureCloud to deliver the highest levels of customer care – helping them easily determine what, if any, adjustments need to be made. The high level of analytics and reporting flexibility and detail PureCloud delivers has traditionally been reserved for the large enterprise market. But, every company wants and should have access to robust analytics, which is what Genesys delivers to small and mid-sized businesses. To provide the most complete insight into a contact center’s activities, PureCloud goes beyond merely interaction data, as it pulls in data from all available sources, including quality management functions, agent evaluations, WFM tools, and other parts of the platform. In addition, Genesys has built in a high degree of intelligence that allows users to filter data and drill down into greater detail for even more visibility. Historical comparisons are made simple, with live and robust historical data views built into the same interface. Every company has unique data, experiences, and trends they want to focus on. Genesys makes it easy to leverage all the data from across the contact center environment to identify and react to the specific elements that are important for each business – or even each manager or supervisor. Views can be easily tailored to each user’s needs. With an intuitive, user-friendly interface, PureCloud puts the tools users’ fingertips – whether they are agents, quality managers, supervisors, or administrators. Agents – Can communicate with customers across channels (chat, voice, email, text), allowing customers to engage in whichever way is most convenient to them. Customer profiles and journey details are just a click away on a single, intuitive agent desktop. PureCloud enables agents to handle different types of conversations simultaneously and move seamlessly between interactions. Agents can also view their own performance and schedules and submit time off requests. Supervisors – PureCloud provides supervisors the ability to measure and monitor performance using multiple views of real-time metrics across the contact center or segmented by channel, queue, or agent. They also have the ability to filter by subsets of data or drill down for greater granularity and insight into performance. Switching between real-time and historical data can be done with a single click. Each supervisor can save filtered views, similar to how they would bookmark a webpage, making it easy to return to those views at any time. The dashboard also includes highly accurate AI-driven forecasting that recalculates constantly with the latest data. Built-in scheduling and forecasting simplify workforce management, as it’s done from a single integrated interface. Administrators – PureCloud puts all admin functions into a single place. It includes everything from IVR and call flows, to users and their roles and permissions. The PureCloud Admin dashboard provides a single screen for managing the entire contact center operation. PureCloud’s inherent reporting and analytics capabilities gives easy access to the information each role needs within the contact center, so they can better understand customer journeys, while ensuring their operations are optimized and meeting their goals. There’s everything from real-time interaction and team dashboards, to historic reporting and predictive analytics – all within a single application. With a complete set of analytics and graphical reporting tools, customers gain valuable insight into customer engagement and satisfaction, contact center performance, and workforce management to deliver a consistent and exceptional customer experience. And all the data collected is not limited to use by just the PureCloud application, as it has an export feature that allows for maximum manipulation and use of your contact center data. Open APIs allow contact center data to be shared with BI tools, wallboards, and other resources – gaining even more benefit from data that’s been collected. For more on how your contact center can effectively leverage analytics and reporting to optimize operations and enhance your customers’ journeys, don’t miss this Webinar on Wednesday, March 13: A Plan to Measure Your Call Center Success in 2019, where you’ll learn how to use all that data to execute best practices instead of depending on best guesses.